144 pages | 9 B/W Illus. 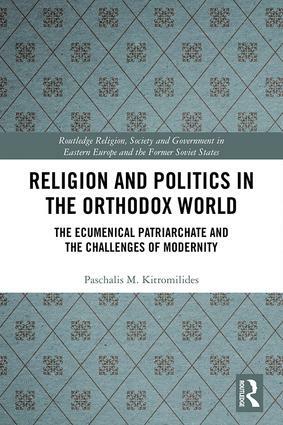 This book explores how the Ecumenical Patriarchate, the leading centre of spiritual authority in the Orthodox Church, based in Istanbul, coped with political developments from Ottoman times until the present. The book outlines how under the Ottomans, despite difficult circumstances, the Patriarchate managed to draw on its huge symbolic and moral power and organization to uphold the unity and catholicity of the Orthodox Church, how it struggled to do this during the subsequent age of nationalism when churches within new nation-states unilaterally claimed their autonomy reflecting local national demands, and how the church coped in the twentieth century with the rise of nationalist Turkey, the decline of Orthodoxy in Asia Minor and with the Cold War. The book concludes by assessing the current position and future prospects of the Patriarchate in the region and the world. VI. A religious International in Southeastern Europe?